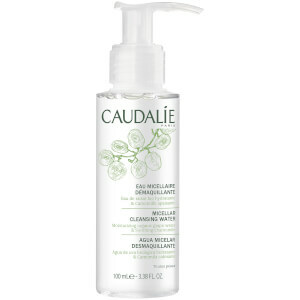 I really love this cleansing water; First of all, i have hyper sensetive skin, and react to so many products. I dont with this, the cleansing milk or toner from this brand. I have used a organic brand from sweden, so i can get in norway where I live. I tested the cleansing water from that brand, and i got a rasch. I get sooo dry from micellar waters; Bioderma, garnier, sukin and so on. If you use micellar water and have sensetive skin, and its getting worse, quit using it. I can use this, its my all time favorite:) Lovley texture and you get clean, but you never feel tight. This is just really good. If you are going too remove makeup, then this is not going too remove it for you. As a morning cleanser, this is so refreshing. Highly recommend!